produced from cotton or spinnable chemical fibre, textile waste of this fibre or a mix of such fibres to give the appearance and character of cotton fibre. Is soft, drapeable, washes well, and is a good thermal insulator. Its qualities can be supplemented by the application of a variety of finishes. 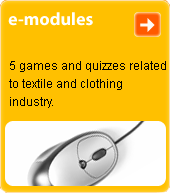 Has a wide range of uses which include garments for underwear, ladies-, mens- and childrenswear, and fashion accessories.